This Mercedes built Spanish/Mediterranean beauty the Ericka II offers a thoughtful layout that is rich in depth and quality of details. The easy and natural flow makes the spaciousness of this 3345 sq. ft. home feel even grander. 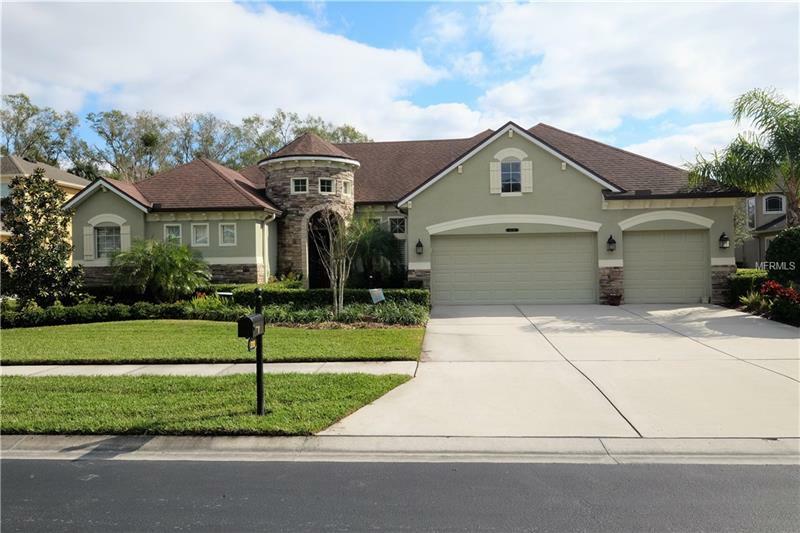 This Executive home has a superior design & lush finishes with 4 bedrooms 3 full baths beautifully appointed dark wood & tile flooring volume ceilings formal living & dining room and Chefâs kitchen. Enjoy a stunning gourmet kitchen with the finest accouterments you would expect including- stainless steel appliances Granite countertops oversized island breakfast bar w/available seating and sleek espresso cabinetry with crown molding brushed nickel hardware pantry and built in desk area. Make your escape to the master retreat boasting a generous size of 14x19 walk-in closet luxurious bath featuring a soaking tub individual vanities XL shower upgraded tile & listello surround and frameless glass. This elegant sanctuary is located in the gated village of Watermark within the exclusive community of Seven Oaks an artistic community design with elevated amenities: Seven Oaks offers a 17 acre Sports Club that provides a journey of endless entertainment an elegant club room and meeting room sparkling pools and an attraction-quality tower slide splash pool fitness center movie theater sport courts & park. Pet Restrictions: Please verify pet restrictions and direct questions to Joy Shumaker 727-577-2200 with Associa Gulf Coast HOA.